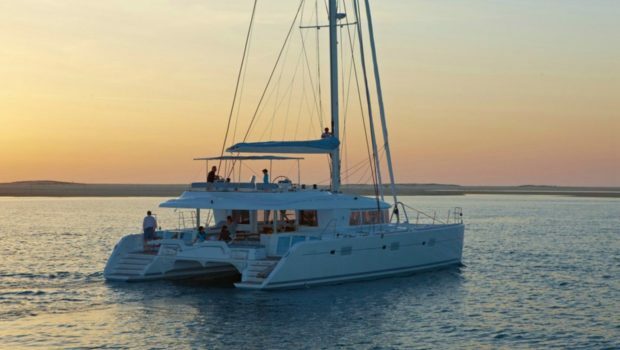 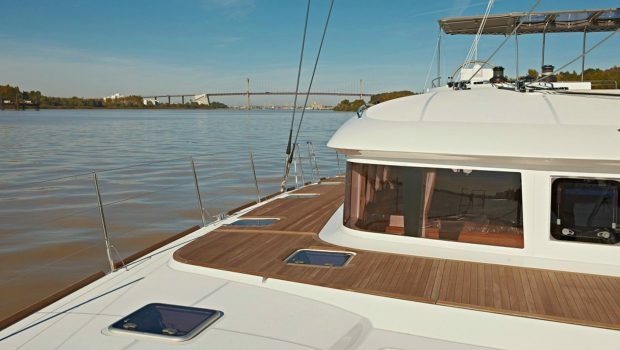 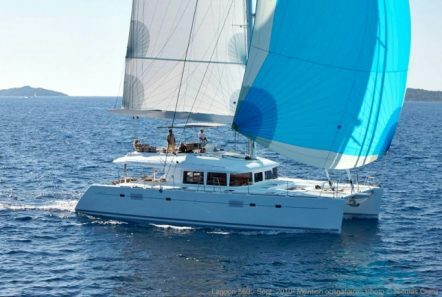 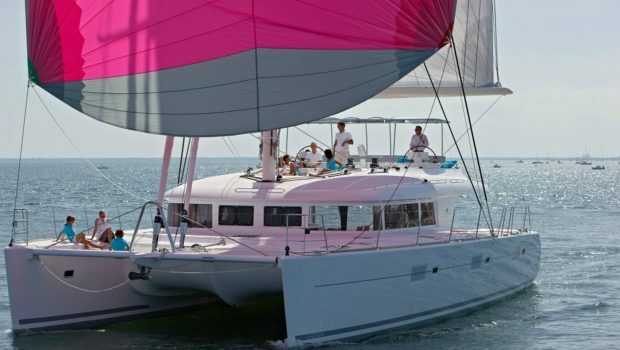 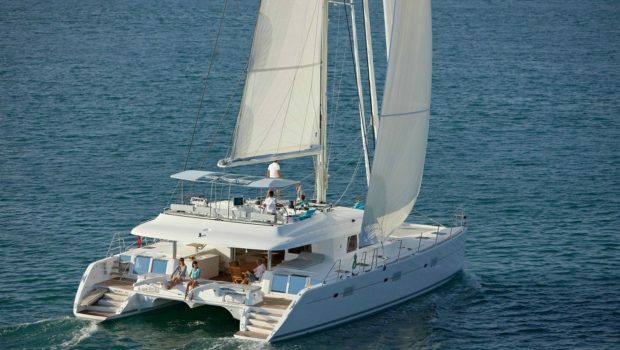 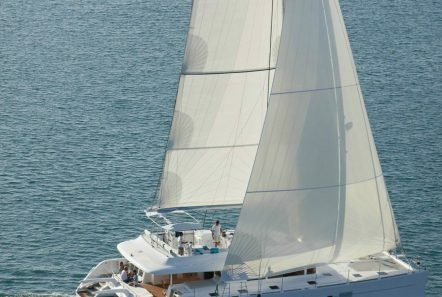 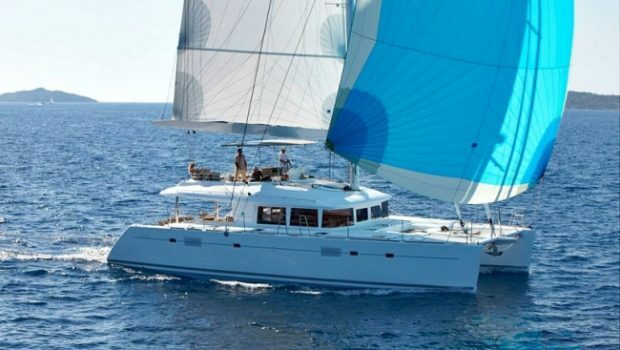 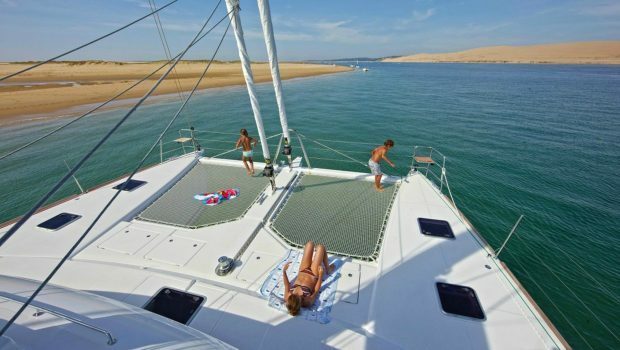 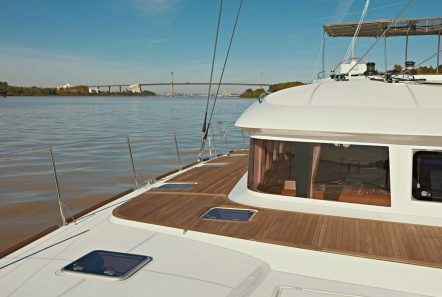 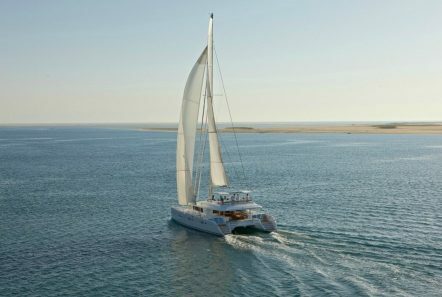 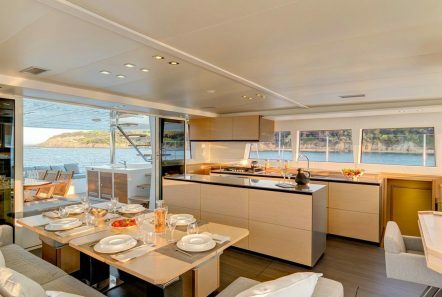 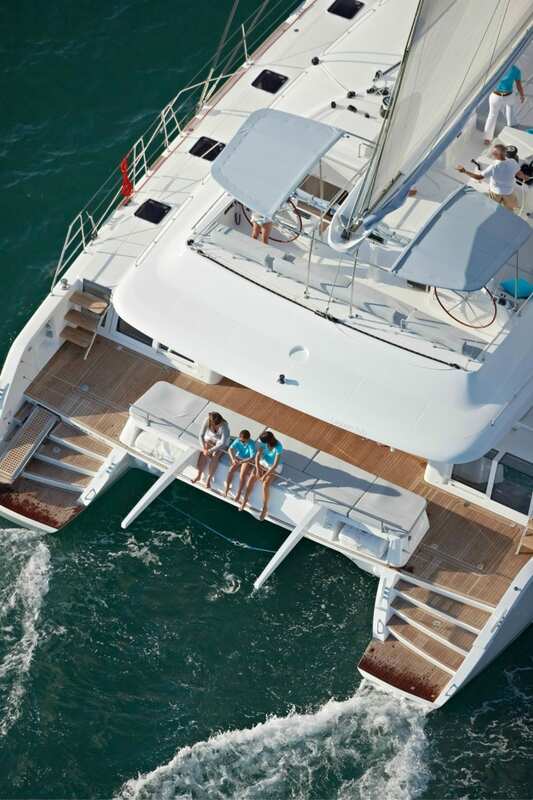 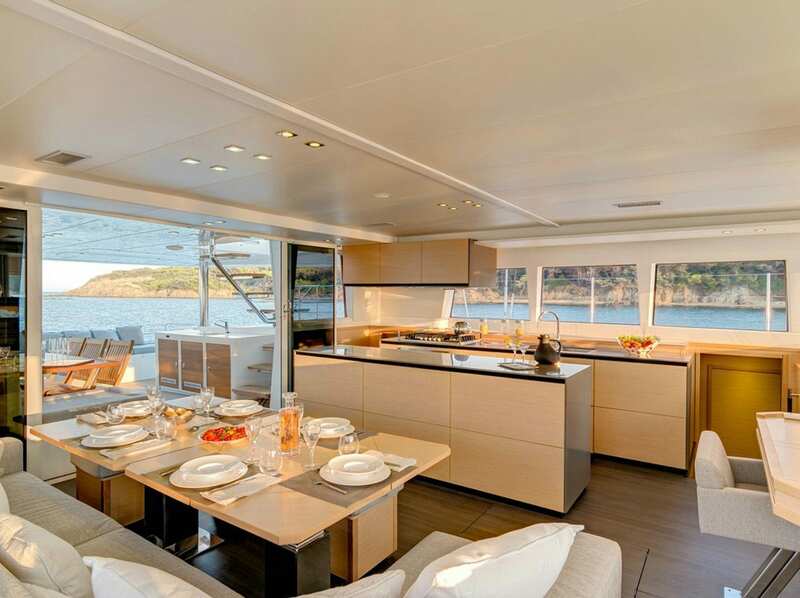 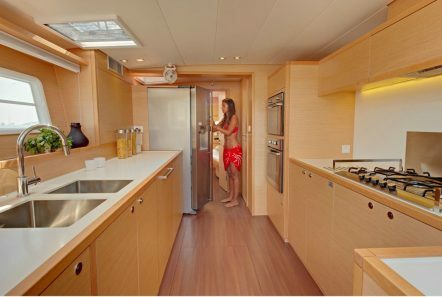 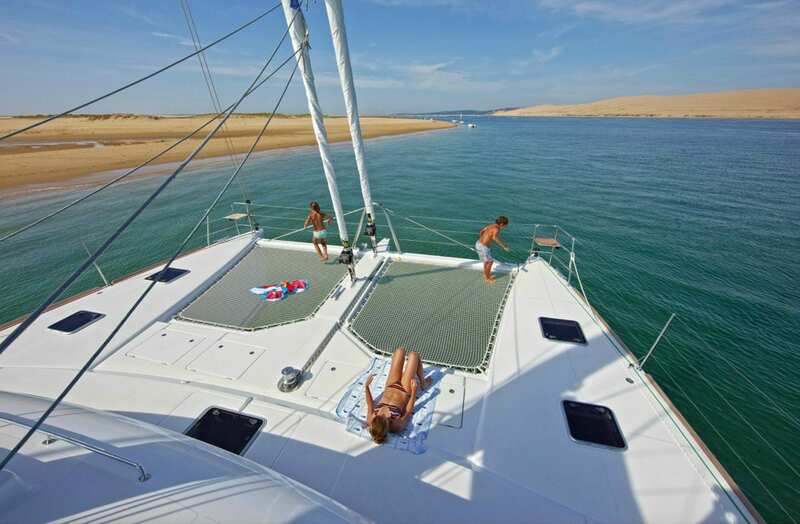 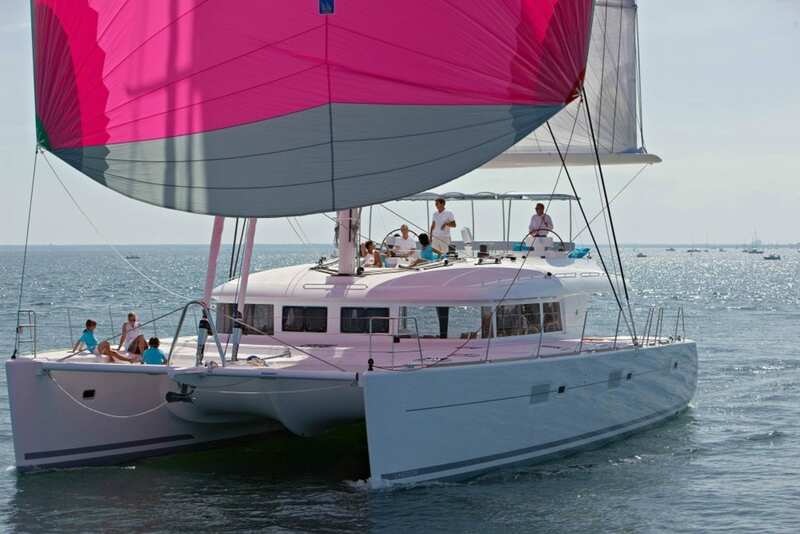 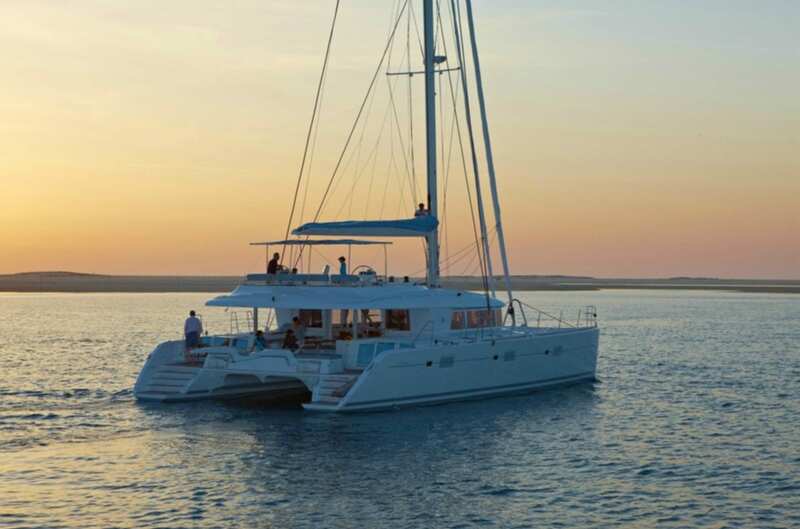 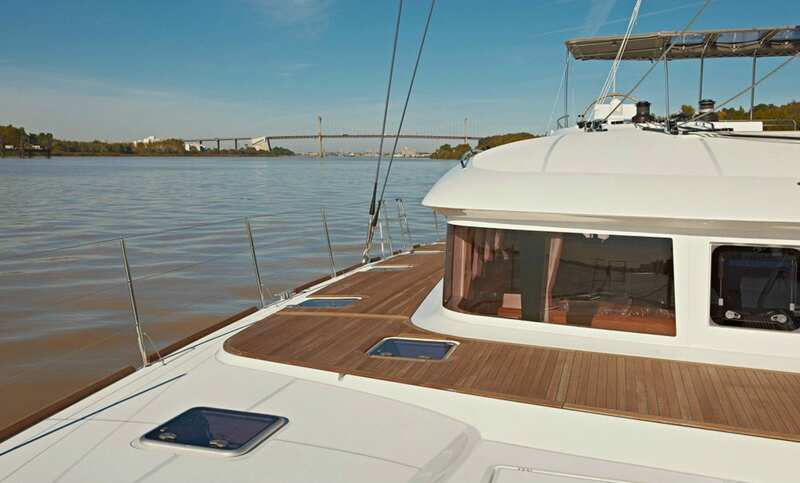 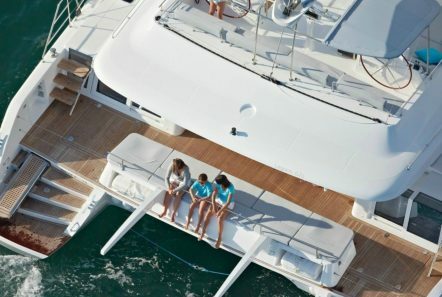 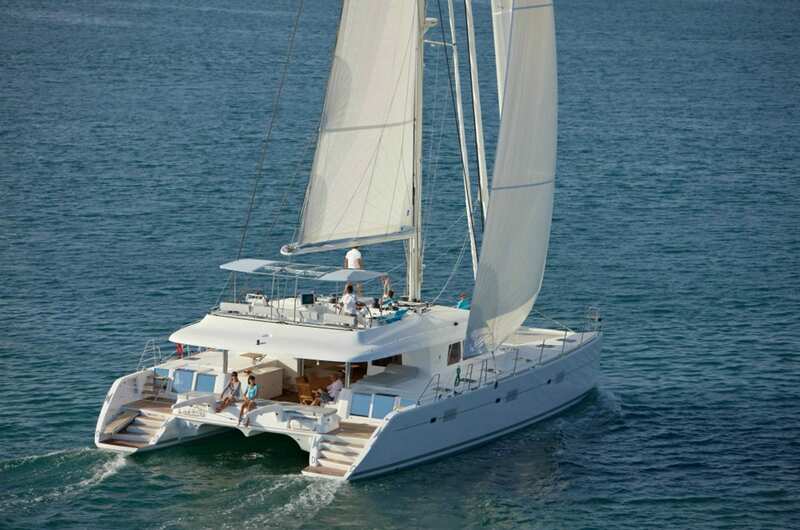 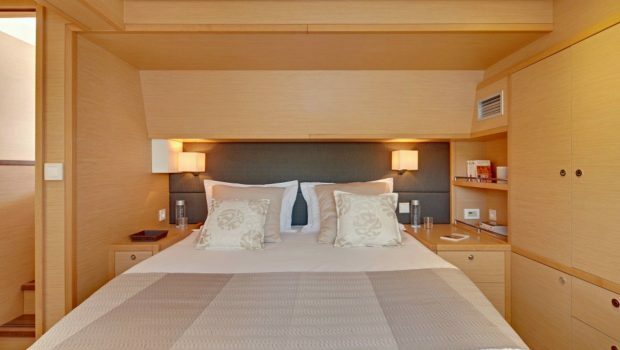 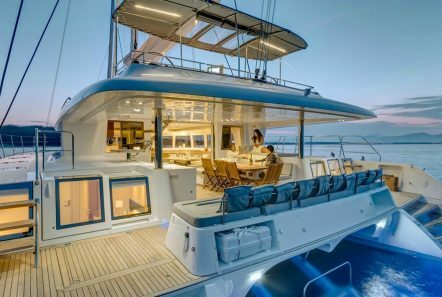 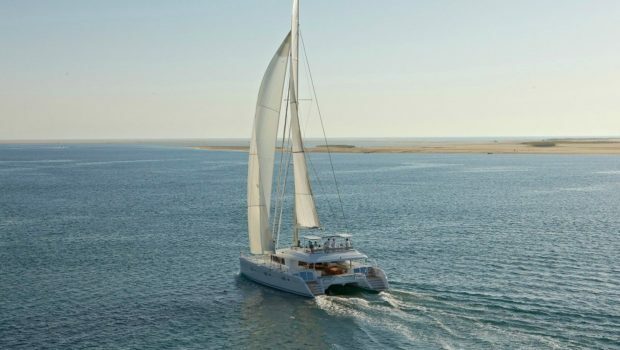 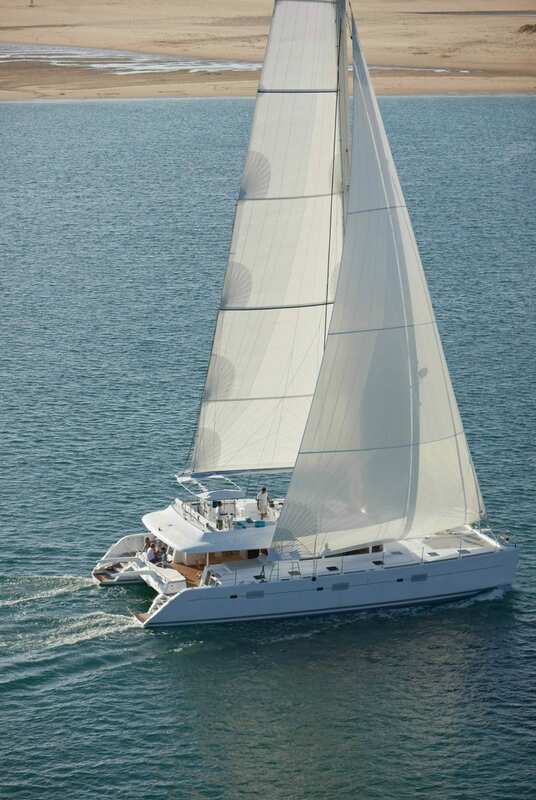 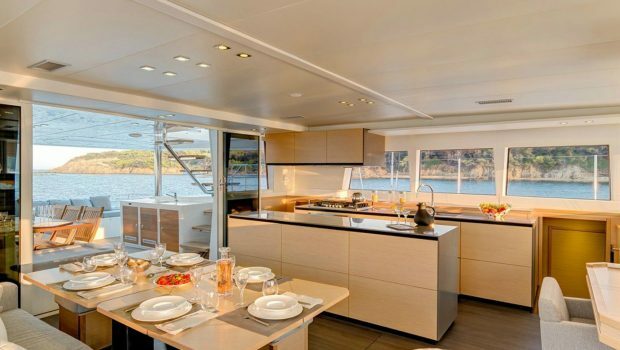 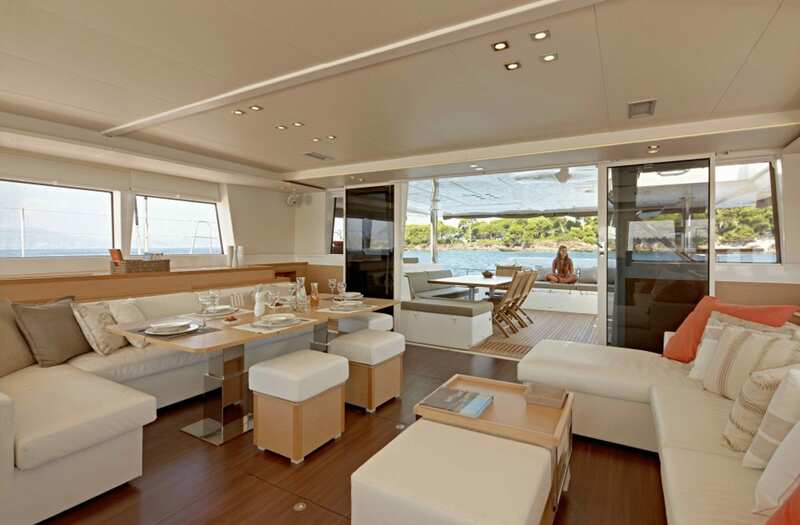 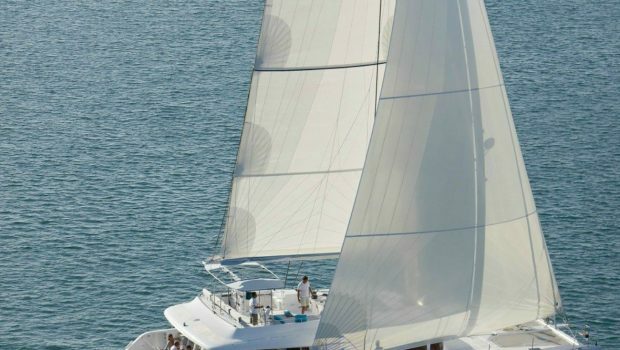 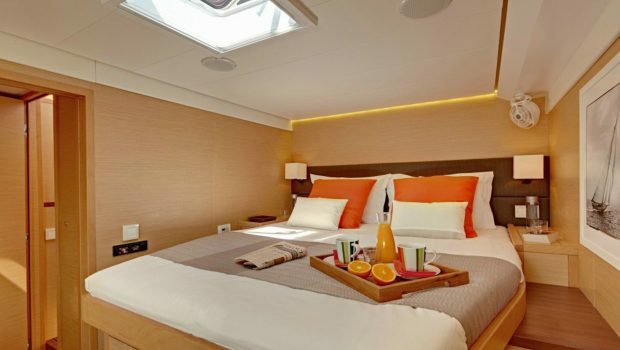 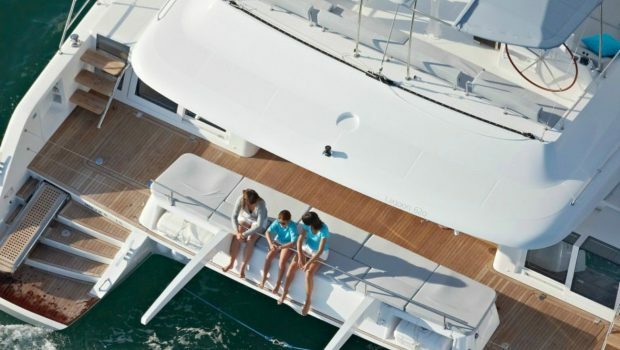 MOYA is a lovely and large catamaran LAGOON 560 S2, designed by VPLP. 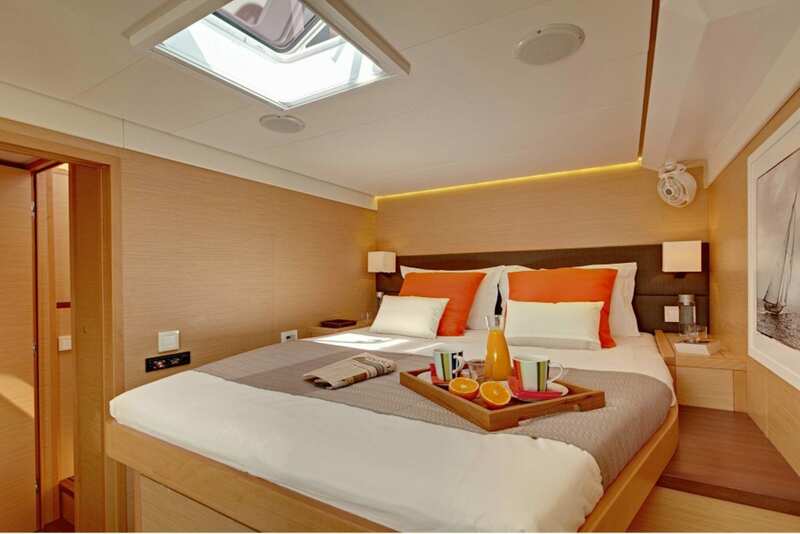 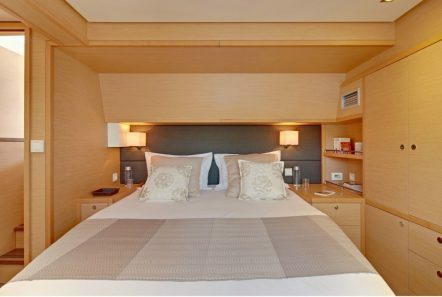 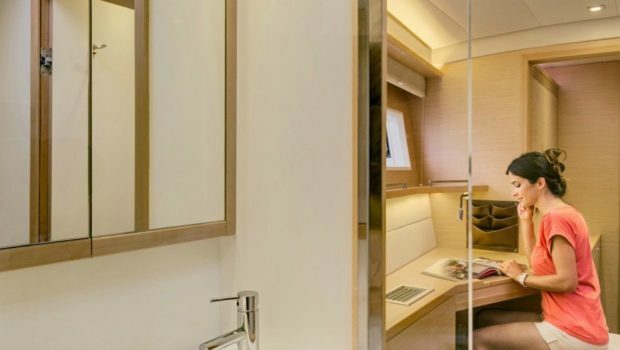 She accommodates 10 guests in 4 similar Queen bedded cabins and 1 with upper & lower bunks and all air-conditioned and en-suite facilities. 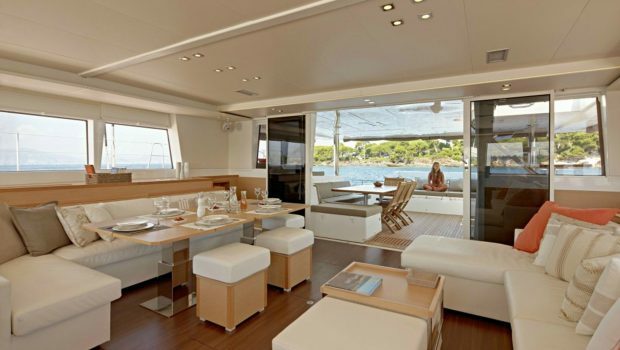 Typical of the large cats, she has panoramic views through-out her salon and indoor dining area. Light and bright and decorated in mild hues of color. 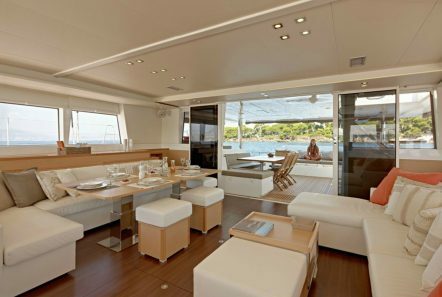 The aft deck is wide open and has plenty of outdoor dining space and lounging areas with easy walk in stairs to the sea. 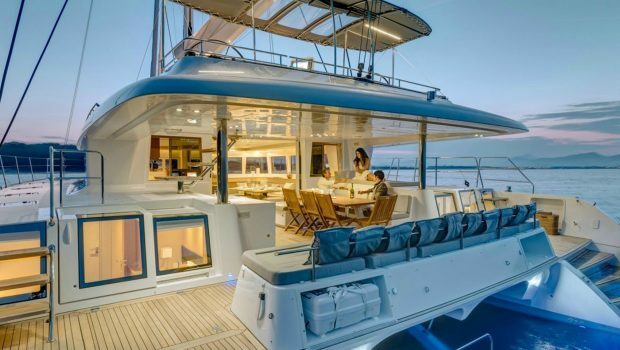 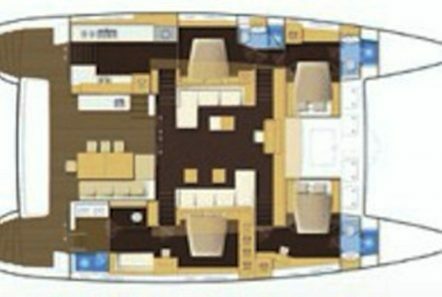 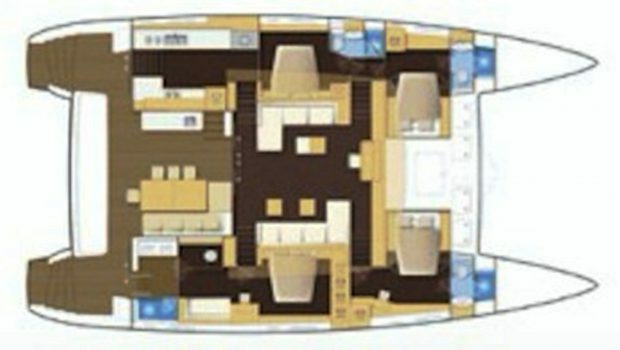 The fore of the yacht has a large netted area to lounge and watch sea cruise by below. 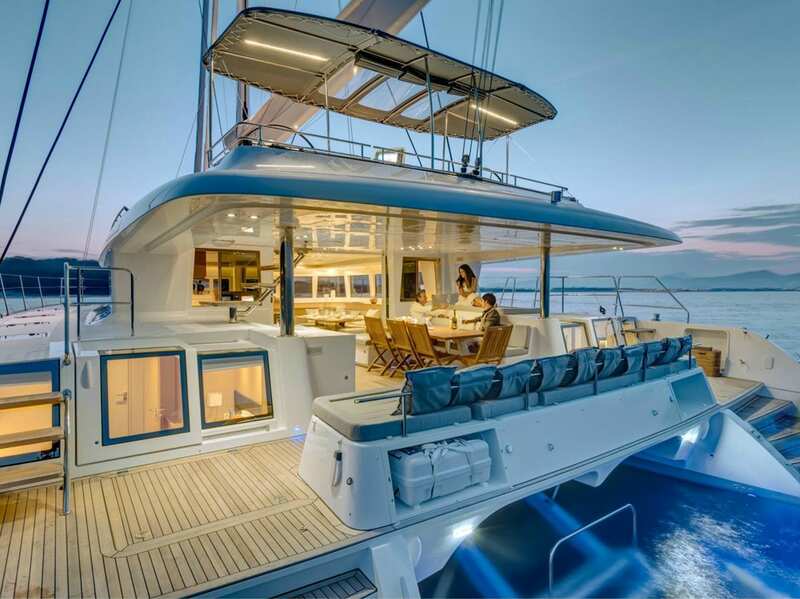 She is staffed by a crew of two.